9474 SE 174 Place Road, Summerfield, FL.| MLS# 543394 | Spruce Creek Realty...Retirement Communities in Florida, Resale Homes In Spruce Creek South, The Villages, Stonecrest, Del Webb. 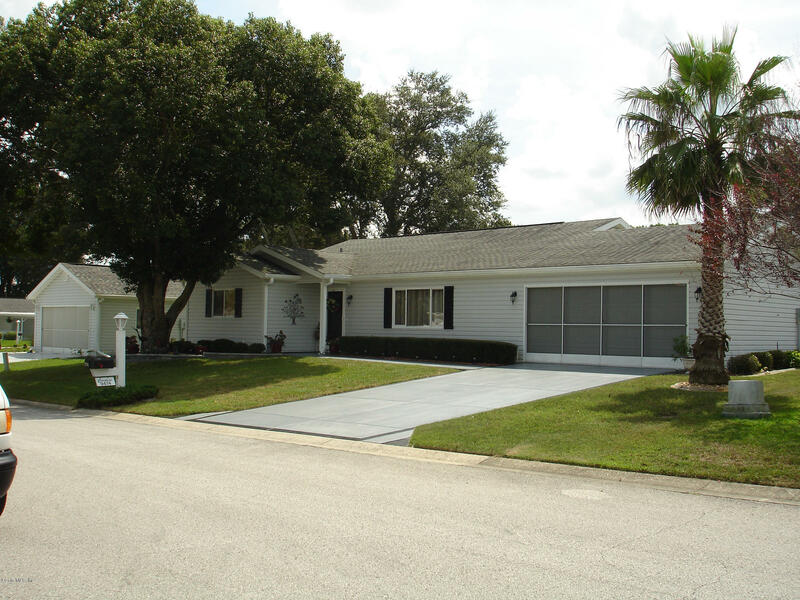 Absolutely beautiful, spotlessly clean, well maintained, freshly painted Palm II w/upgrades galore. (Furniture available for sale separately) Kit. completely remodeled w/new kitchen cabinets, counter-tops, kitchen appliances & beautiful glass door that leads to garage. Both bathrooms updated w/vessel sinks, granite vanity tops, back-splash, newer toilets. The Master Bath includes large walk-in shower w/updated glass doors. Large pretty tile throughout entire home w/French Doors leading to large Family Room. All lighting/fans updated with style. Ceilings are vaulted with knock-down texture (no popcorn). Delightful back patio offers two person hot tub w/privacy overlooking large fenced back yard. Garage w/painted floors, walls & door screens. Includes garage freezer/oversized laundry tub.